Did you know that I’ve written another book? Probably not, as it’s not been published yet. It came pouring out of me in 30 days in April 2015. The working title is “Dancing With Cancer – The Sacred Feminine Path to Wholeness.” I sent it over to my priestess sister Anyaa McAndrew to read and she liked it so much she invited me to collaborate with her to create a new process for women with cancer during weeklong Dancing With Cancer workshops. Ultimately, the workshops got put on the back burner for now. The awe-inspiring process that followed that invitation started with a seed idea that grew fast and healthy and strong and got us moved completely off of Maui in 30 days time and sent us wandering for a few weeks, set free of our “stuff” while it rode the slow boat to the mainland. I had no idea I was ready to leave Maui after nearly a decade… until it was instantly crystal clear. 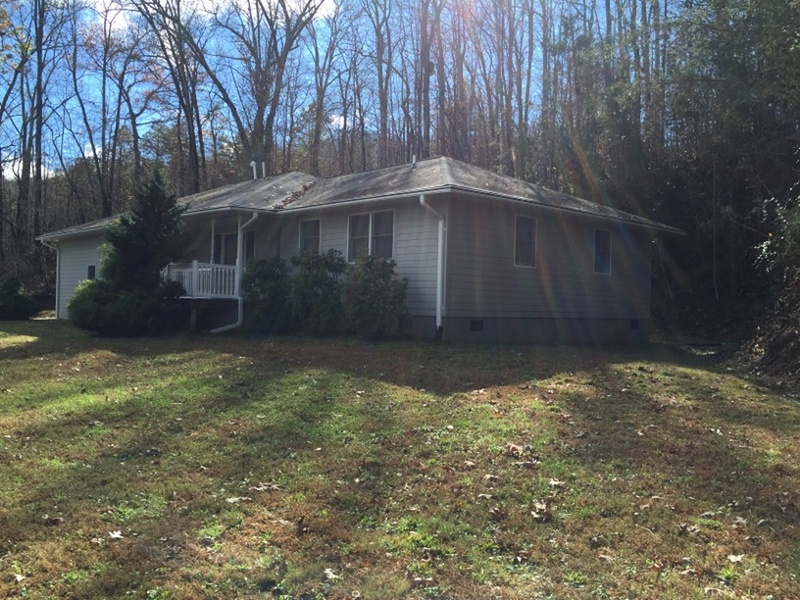 We were magnetized to the Isis Cove community in the Smoky Mountains of Western North Carolina, home of the aforementioned priestess sister, Anyaa. We landed in Isis Cove in mid-January, after an extended visit with my in-laws which included a Caribbean cruise for their 50th anniversary. Talk about confusing to my body… Maui, then to Minneapolis in December/January, to the Eastern Caribbean, back to Minnesota, then the 2-day drive to Isis Cove. It was -10 when we left Minnesota, dropping to -15 as we crossed Wisconsin. It was “only” in the high teens/low 20’s when we arrived in North Carolina, balmy in comparison. 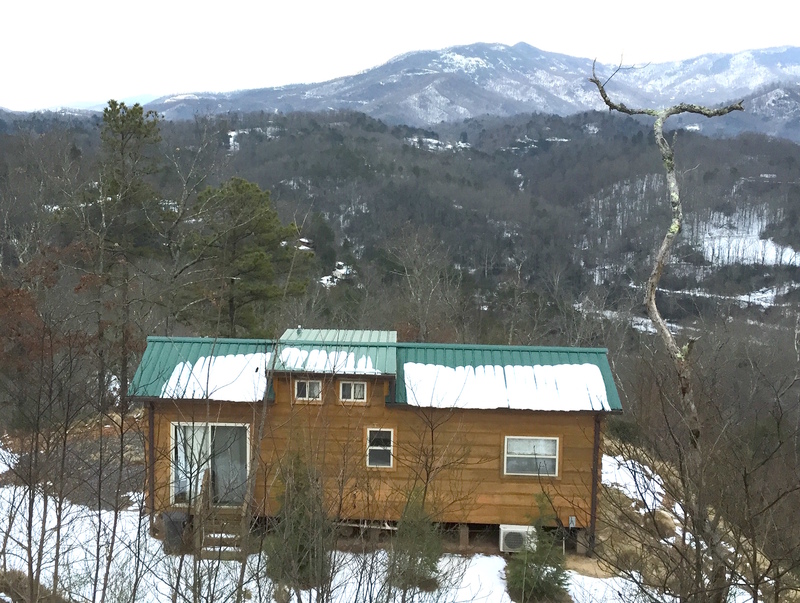 We passed the winter in a wonderful, tiny cabin at the top of the mountain in Isis Cove, with stellar views of the Smokeys and no insulation. I had a really hard time getting warm. That seems like just yesterday, and now we are running the A/C. We spent the better part of 7 months looking for a home to buy, after initially bidding on a house that was on the edge of Isis Cove. That house turned out to be a “lipstick on a pig” situation… it showed well and looked good, but underneath and above, it was a mess. We let it go just before Christmas, days before we left Maui for good, and picked up the search again in mid-January. We closed escrow in May on a wonderful place 5 minutes from Isis Cove, in the middle of 6.5 acres. What’s been most interesting about this move is that I’m being called back into the realms of sacred sexuality. I thought I was all done with that calling when I was diagnosed with breast cancer in 2013, but I started getting invitations very quickly. The first was to film a 3 hour trauma-release sexual healing session that I coached a couple through as part of a series with 3 other amazing teachers. That went spectacularly well. The series will be launched in the fall. The next was an invitation to do an interview for a conscious sexuality conference, also airing in the fall. And now, I’ve been invited to be interviewed for World Women’s Orgasmic Offering Day, a charming combination of ceremony and sacred sexuality. I’m going to speak about reclaiming our aliveness as we age. Oh, and I’m offering a 2-day workshop with Caroline Muir called Aphrodite Arising – Sacred Sexual Feminine Awakening in October at the Illuminated Heart Retreat Center in Isis Cove. Another amazing synchronicity was finding out about Debra Hawley’s book Reclaiming Magdalen – A Memoir of Sexual Healing. 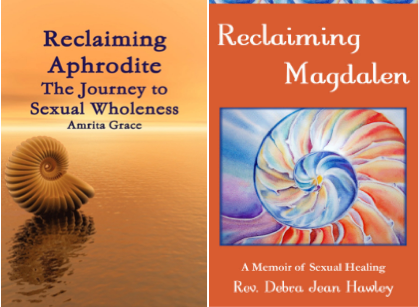 The similarities between us, especially our healing paths, right down to the cover art on our books (mine is Reclaiming Aphrodite-The Journey to Sexual Wholeness), has been a stunning and very uplifting discovery. We will meet in early September. I can hardly wait to meet this new (ancient) sister/friend. I’m seeing a theme here. Dancing with Cancer meets Sacred Sexuality. Sexual healing and how it contributes to cancer prevention and recovery. (It sure did for me!) I’m open and available. I’m cheering on a younger generation that is enthusiastic about sexual healing. And I’m celebrating re-entering sacred sexuality at a new octave, one where I get to let go of the sense of shame and hiding about what I do. (What would Grandma think?) Really, I was simply afraid of being judged, and I still am… but what’s more important are the gifts I can give, and they are extensive. It would be downright immature and irresponsible to withhold them in order to save face. Right? Please share your response in the comments below. I welcome all comments. This entry was posted in Death & Rebirth, New Beginnings and tagged amrita grace, Aphrodite Arising, cancer prevention, cancer recovery for women, Caroline Muir, sacred sexuality. Bookmark the permalink.